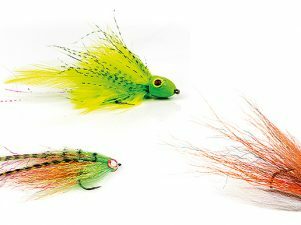 Swinging flies for salmon is an artform in and of itself, and it’s characterized not only by stubborn tradition but also by semi-religious beliefs and notions. A simple fact, however, is that the right fly line makes a huge difference. 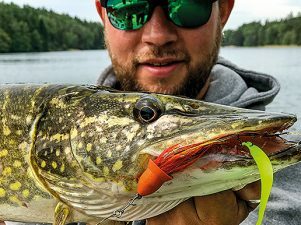 No mumbo jumbo or magic – it’s just a plain matter of presenting the fly to the fish at the right distance, depth, angle, and speed. 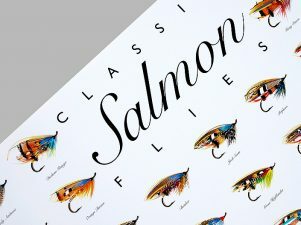 We have sat down to have a word with Eirik and Tom about salmon fishing, about how to choose the right fly line, and about their new Seamless Density fly lines, which have been developed in close cooperation with Scientific Anglers. Tom Roger Bekkeli and Eirik Fjelldal. How would you describe the perfect fly line/shooting head for salmon fishing? Eirik: In my opinion there is not ONE perfect shooting head that can do it all in salmon fishing – and I doubt there will ever be one. Why? Because the effectiveness of a fly line or shooting head will always be a compromise between mass distribution, line profile design, length, technology and density on the one hand and where I fish, under what conditions I fish, and how I want to present the fly on the other hand. These factors are subject to change all the time and therefore there is only one rule: There is no one line to rule them all. This, at least, is how I think about it. I need different series of lines or different «families of lines». I might want a selection of short lines with different densities to deal with, for example, smaller rivers, deep wading, casting in crammed spots etc. In addition, I might need a selection of longer lines with different densities for bigger rivers, where I have good space and need longer distance. Now, the reason I use the word «family of lines» is not coincidental. If I want a system of lines where I can use the different densities in a way that actually makes sense – it’s important to get a system of lines and densities from the same manufacturer, same brand and within the same line family. A Sink 5 line from one manufacturer is not necessarily a sink 5 for the next. I want the different steps in densities to make sense and sink the way I want them to and I want the lines to have the same length on the sink section of the line. Only then does having a system of shooting heads make sense. Only then can I actively use for example an Intermediate/sink3 line and change over to an Intermediate/Sink5 line and know for sure that I get the properties I need. For me having a perfect line in salmon fishing, is about having options within a series of lines. Then I will always have One line that is perfect for the actual conditions and scenarios. 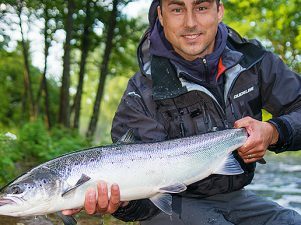 What is the most important thing to keep in mind when choosing a fly line for Atlantic salmon fishing? Eirik: Start by carefully examining where you will be fishing and what type of conditions you’re most likely to encounter. Also do a no-BS assessment on your own casting skills. This is SO important! I have talked to countless fishing guides throughout the years and usually two things seem to go on repeat. One: Their clients would have caught more fish if their casting skills were better. Two: They would have caught more fish if they were more into proficient fishing lines with heavier densities and they actually had them in their fly fishing tool kit. Often these two things are intertwined and we all know the solution of course. Start casting and training with the kit you will be using before going to your fishing destination. Tune yourself in on the casting, get a feel for how your lines behave, and learn to master all densities. I promise, fly fishing will be way much more fun and you will catch more fish. Tune yourself in on the casting, get a feel for how your lines behave, and learn to master all densities. I would go so far to say that what really differentiates really good salmon fishermen from the rest, is their ability to master heavy density lines and know when and how to apply them to the situation at hand. Of course, local knowledge of the river and fish behavior is important. But yet again, your shooting heads is your most important tool when it comes to induce the take. There you have it in a nutshell – free of charge! I can certainly speak for myself and say that when I started getting all nerdy about my sinking lines and learned how to use them, that’s when I took a giant leap forward as a salmon fisherman and started to hook up with more fish. Significantly more fish! How can a fly line help induce the take? Tom: Well, without the right fly line, the angler can’t fish the fly at the right dept with the right speed. One of my favorite things to do is to watch how the salmon react to a fly. If you are lucky enough to be able to spot a salmon in a pool and having your buddy throw a fly at that fish, you can learn a lot. 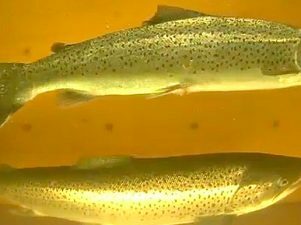 It’s so exciting to see how salmon change behavior when the same fly is presented in different ways. It’s so exciting to see how salmon change behavior when the same fly is presented in different ways. I’m 100% convinced that the presentation given by the fly line is much more important than the fly pattern. Seeing how a salmon often changes from not being interested to suddenly shooting out like a rocket to grab the same fly because of, for example, increased fly speed is VERY fascinating. Finding the right combination of speed and depth on a given day is what matters! What are the most important aspects to take into consideration when designing shooting heads for Atlantic salmon inside the European market? So, it’s about designing lines that are relatively easy to cast and angle, with little effort. It’s about designing lines that sink the way they are supposed to: Lines with a tolerance for wind, big and heavy flies etc. There is a whole specter of things to consider when designing shooting heads. I personally like a shooting head you can just pull straight out of the box and fish with. Stuff that just works. No cutting or gluing on loops and what not. It’s too much of a hassle. I want to spend my time fishing. All features in a shooting head must serve a purpose and add something to it that makes it stand out. You have been instrumental in developing the new Scientific Anglers UST SD (Seamless Density) lines. Can you tell a little bit about why and how you’ve developed these lines? Tom: We started planning these lines at the time when we wrapped up the development, testing, and approval process of the UST Short shooting heads in 2015. With the UST Short lines, we had just finished a big series of shorter shooting heads with cutting edge SD technology and of course our heads started spinning on how we could improve the longer heads on the market using the same SD tech. 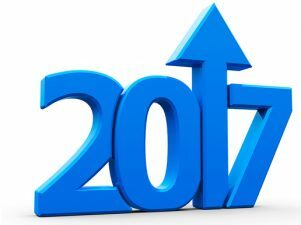 So, in 2017 Eirik and I packed our bags with all our experience from earlier projects and traveled to the Scientific Anglers’ plant in Midland Michigan. As usual, we teamed up with the R&D wizard, Josh Jenkins, and started cranking out designs and prototypes. Having the opportunity to travel to the factory and spend several weeks on a project like this is key to success for us. Having Josh and the machines standing by, so we can change and tweak the smallest things from one line to another is priceless. This really allows us to focus on the details to make 100% quality products. Being able to spend time on perfecting everything is pure luxury and it’s thanks to SA that we have this opportunity. For example, spending time on getting rid of an imperfection in the loop like a small wave or hinge is what sets us apart from others. The devil is in the details! Can you tell a little bit about why the Seamless Density specifically will help connect with more salmon? Tom: A long sinking tip will fish much deeper than a short sinking tip in the same density. The trouble with lines with very long sinking tips is that they are really hard to design so they cast well. They tend to hinge a lot making them terrible to cast. Also, a drastic change in “mass-per-length” (grams/ft, grains/ft, grams/cm, etc…) will create a hinge. Take the example of going from float to sink 5. This line would create a really bad hinge because the sink 5 material is denser and because it will likely have the same diameter as the floating section it will hinge and wobble when you cast it. The SD BLEND is a lot better at regulating the transition between densities than traditional 2D or 3D, and we have the ability to extend the transition over a longer part of the line. The density gradually changes over a longer section rather than a drastic density change over a short section (mass-per-length). Hinging during casting and hinging during sinking are directly related. A line that has a smooth mass transition and no hinging will tend to sink in a straighter line. Again, this is because there are no drastic changes in mass OR density. A line that has a smooth mass transition and no hinging will tend to sink in a straighter line. Hinging during the cast will definitely take energy out of the cast and limit how straight the line can land. The short version is that the SD section works like a “stabilizer” in the line taking away hinging and bouncing that kills the energy in the loop during a cast. This makes sure that all the energy in the loop goes in the right direction, ensuring longer cast and better presentations. Any tips on how to fish these lines and how to induce the take? 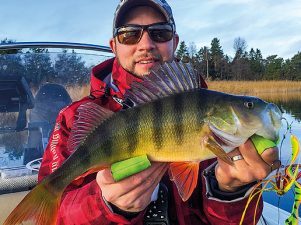 Eirik: I always have 2-3 rods rigged up with different lines – meaning different densities. How I choose to fish a pool depends very much on the character of the pool, the water temperatures, the water levels, and where I expect the fish to be holding etc. Under more normal conditions, I usually first cover the pool with a close-to-the-surface type of line, to see if I can get a fish to rise. Maybe a Float/Intermediate or Intermediate type line. Visual takes will just never go out of fashion! Then I swap rods and go for a heavier line, for example an Intermediate/sink5 to dig the fly down, presenting it closer to where the fish may be lying. 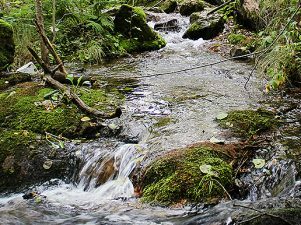 My advice is to try and read the water, taking the conditions and general situation into account, and then come up with a plan. Always have a plan you can work around and apply your shooting heads and flies to from different angles. Also, don’t be afraid to use heavy density lines if the salmon don’t respond to an initial close-to-the-surface presentation of your fly. Try going heavier than you initially thought was necessary. Give the salmon two options – move or take the fly! My main point is to vary your approach and vary it in a way that really makes a difference. 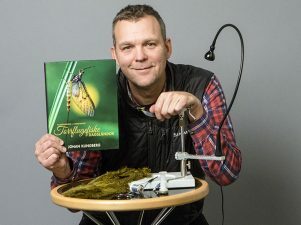 Don’t just change a 5cm fly to an 8cm fly – go from 5cm to 15cm. The same goes for how you use your shooting heads. Don’t just go from an intermediate head to an Intermediate/sink3 – go for an Intermediate/sink7, or why not a 750grain line if you can?! Use all the tools you have in your fly fishing toolbox actively. That’s why shooting heads comes in a range of different densities. If you have one line, you have one tool. If you have 3 lines with different densities, you have 3 tools with different options in your toolbox. 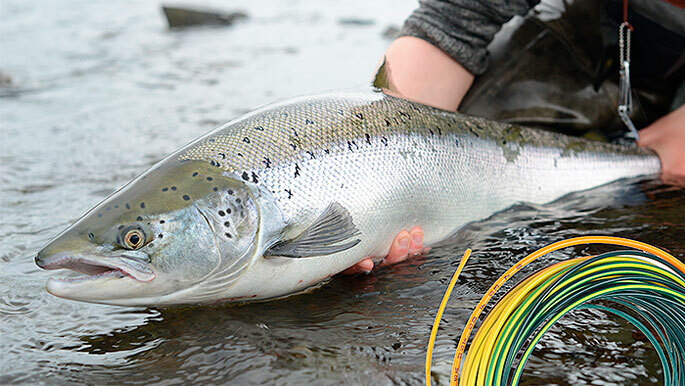 Options in salmon fishing aren’t simply nice to have – they’re essential when trying to decode the conditions and hook up with fish.